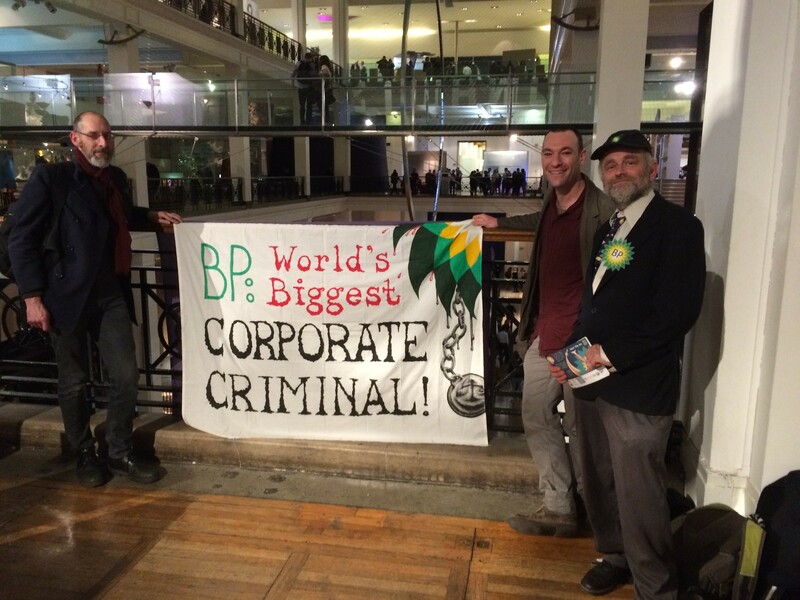 Scientists and actorvists gatecrash BP-sponsored night at Science Museum – BP or not BP? Posted on January 28, 2016 October 3, 2016 by BP or not BP? 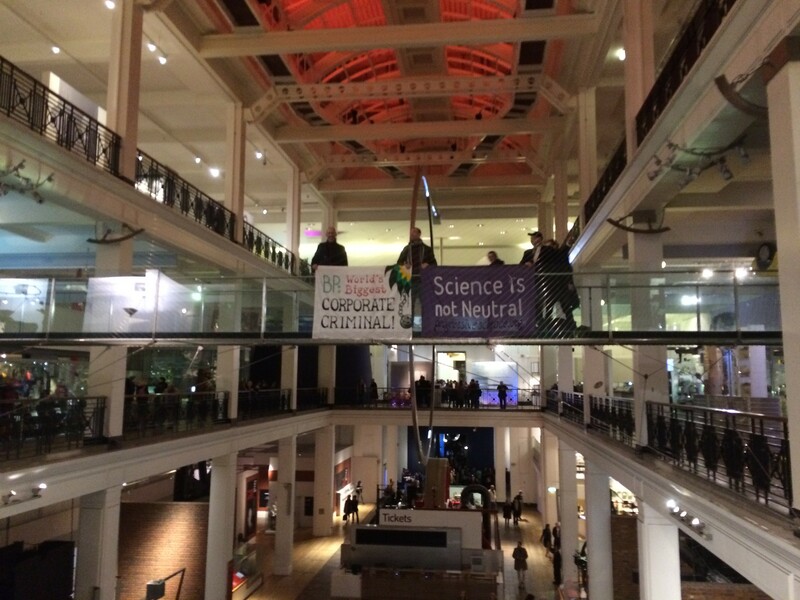 Last night, a group of young scientists and climate campaigners gatecrashed a BP-sponsored “Late” event at the Science Museum, with a theatrical performance, banner drop and lecture, exposing the oil giant’s dire environmental record. 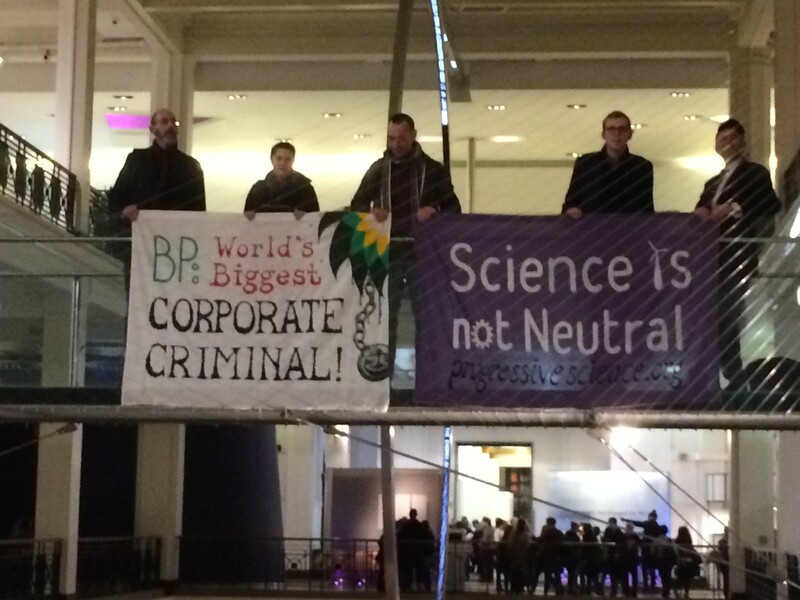 The group, some of them in character as bumbling BP executives, unfurled a banner that read “Science is not neutral” and “BP – world’s biggest corporate criminal”, before explaining why we need to end oil sponsorship in order to tackle climate change. 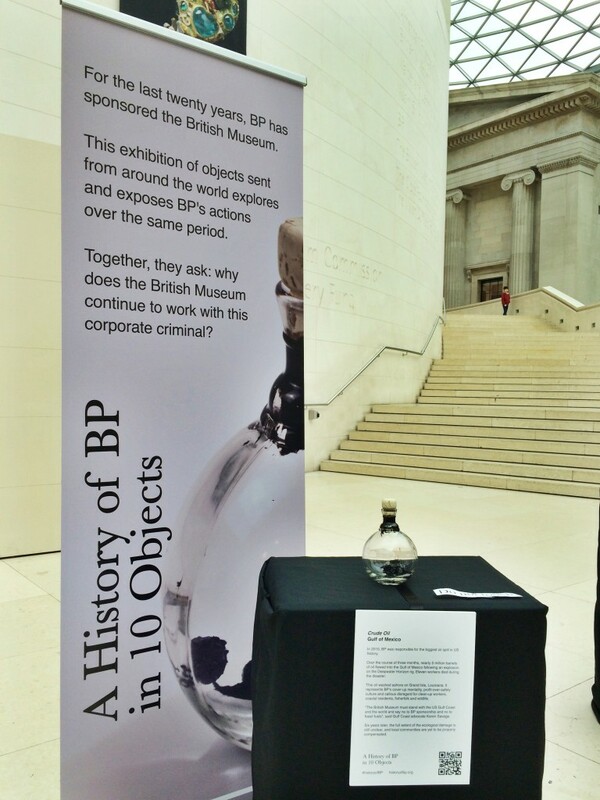 A large crowd of museumgoers gathered to watch, took flyers and asked questions about BP’s record around the world. BP is the sponsor of the Science Museum’s “Cosmonauts” exhibition, which provided the theme for the evening’s “Late” event. Last week, billionaire fossil fuel funder and climate denier, David H. Koch, stepped down from the board of the American Museum of Natural History, following a 552,000-signature petition and ongoing controversy over his role at the museum. 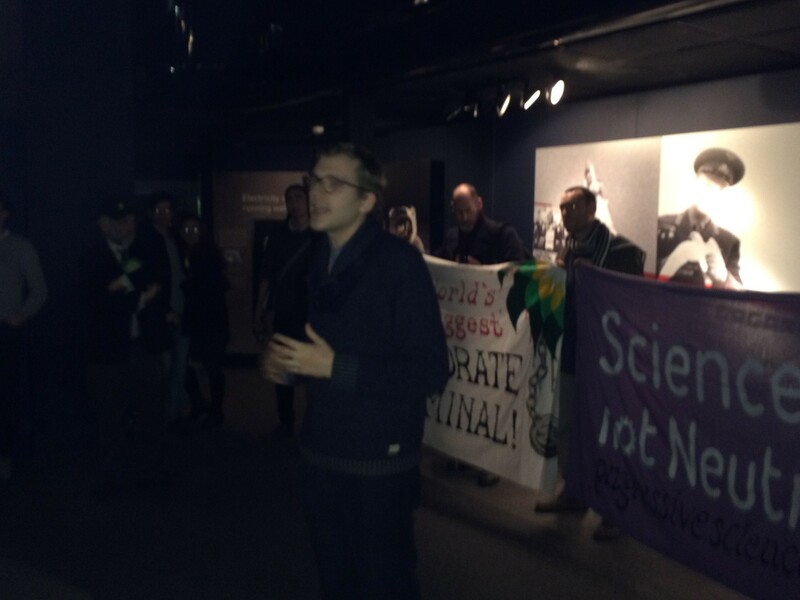 Last year, it was revealed that the oil company, Shell, had influenced the Science Museum’s climate science exhibition and the museum opted not to renew its partnership with Shell, a deal which elapsed in December. Campaigners are now calling on the museum to end its “toxic and ill-advised” relationship with BP. BP holds a 19.25% stake in the Russian state-owned oil company, Rosneft, and BP played a leading role in lobbying against sanctions on Russia following the crisis in Crimea and the Ukraine. The Cosmonauts exhibition runs at the Science Museum until 13th March. The “Late” events at the Science Museum are a series of monthly late openings aimed at adults, which incorporate performances, talks and a silent disco.